The rarely-seen Zora Tunic DSi XL. Yesterday we told you about the Legend of Zelda Flipnote Studio competition, and if you're struggling to get a grasp on sketching the Hero of Time this instructional video might help you out. 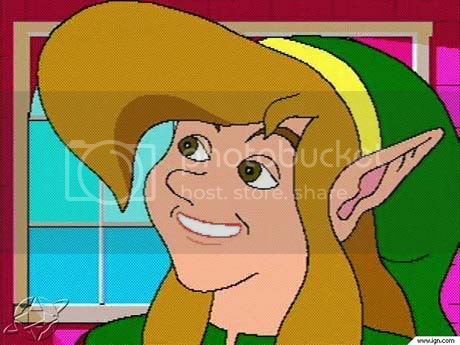 The video shows how to draw Link in his classic adult look as well as the more divisive Toon Link style, and should help improve your efforts in the official competition. Below that you'll find Nintendo's inspirational video showing just what can be done with Flipnote Studio, talent and patience. Remember Flipnote Studio isn't available on 3DS so you'll need a DSi or DSi XL console to enter this contest. This is the Link I'm entering into the contest. Sweet!!! I'm gonna go enter the contest, oh wait, i don't have a DSi!!! @jediknight Link isn't exactly life-like, he is very cartoony, even adult link. Can someone give me a reason why Flipnote is not available on 3DS? Gah! He makes it look so easy! Don't have a DSi to try this on. BTW, I hear there is a cool new 3D version of Flipnote coming up for 3DS owners. If only they allowed that version as well, more of use could've tried it out. 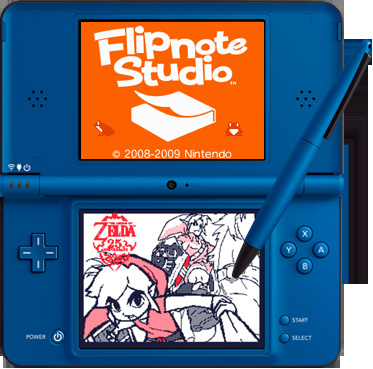 ANYWAY I really want flipnote for the 3DS already. The built-in drawing over photos stuff has shown me that I really don't care for adding "3D" to my drawings, I just wanna flip some notes! 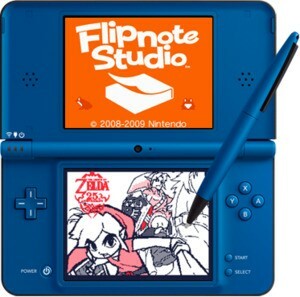 @bro2dragons Nintendo is putting together Flipnote Memo which will be the same thing but better. Until then, no note-flipping for you. when is flipnote memo coming out? Nice movie! Also, the Spirit tracks music made me very happy! Nice green DSi too! Way to promote the 3DS, Nintendo... I WANT MY DSI BACK! nintendo didnt really make that games. stinking philip did. nintendo just gave use of the characters, before they knew they would cancel the project. This video makes me sad there isn't a green 3DS.